Most of the time your Ignore List will simply do its job in the background, but occasionally you may want to check on it. Perhaps one or two listings might need to be removed from the list. 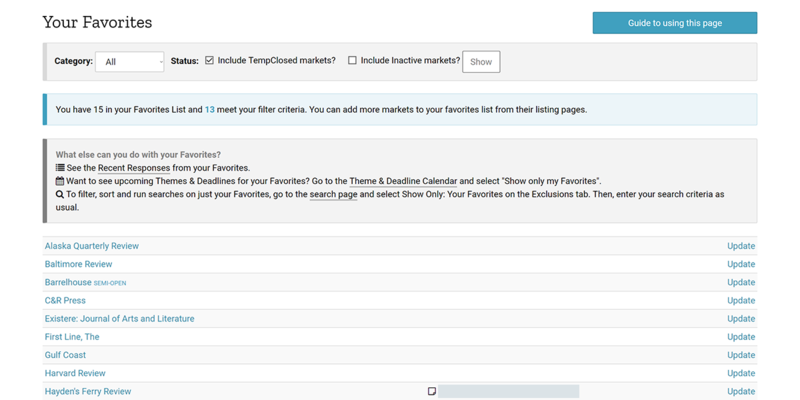 Have you ever wished you could run a detailed search on just your Favorites? You can! 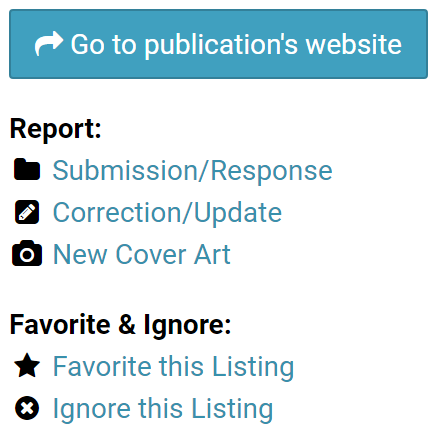 On the publisher search page or agent search page, go to the Exclusions tab and check the "Non-Favorites" box. Enter other search criteria as desired. 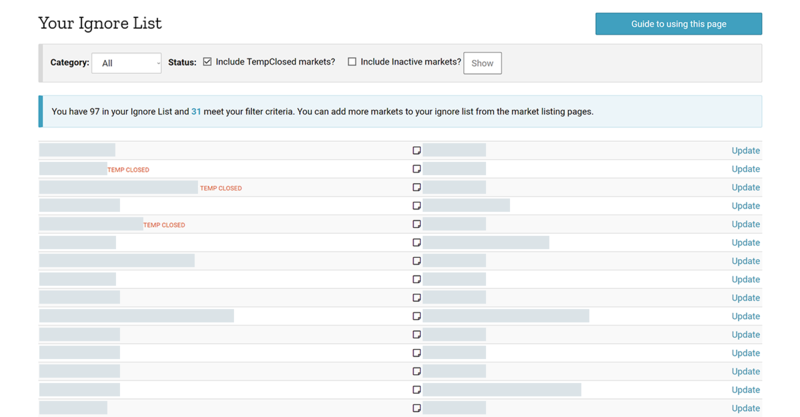 Only your Favorites that match all the criteria will be returned as search results.